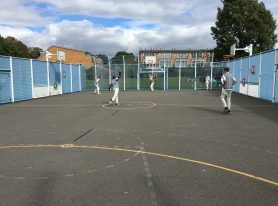 As the cricketers from Sri Lanka and Pakistan took centre stage around the country over the past few weeks, taking on their English hosts, in Surrey, Cage Cricket welcomed the Warsaw Hussars from Poland. 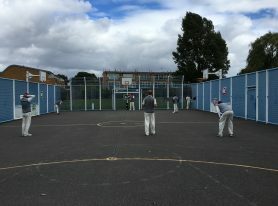 Although the Hussars have visited Surrey previously, this would be the first occasion on which they had the opportunity to play Cage Cricket. Neil Bunting from Cage 4 All Surrey explained how the team were regular visitors in recent years, but that this year having introduced Cage into the county was a new chance to add something else to the tour. 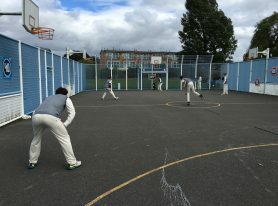 All of the players took to the game very quickly, and as the pictures below demonstrate, clearly enjoyed their time learning this innovative form of the game.